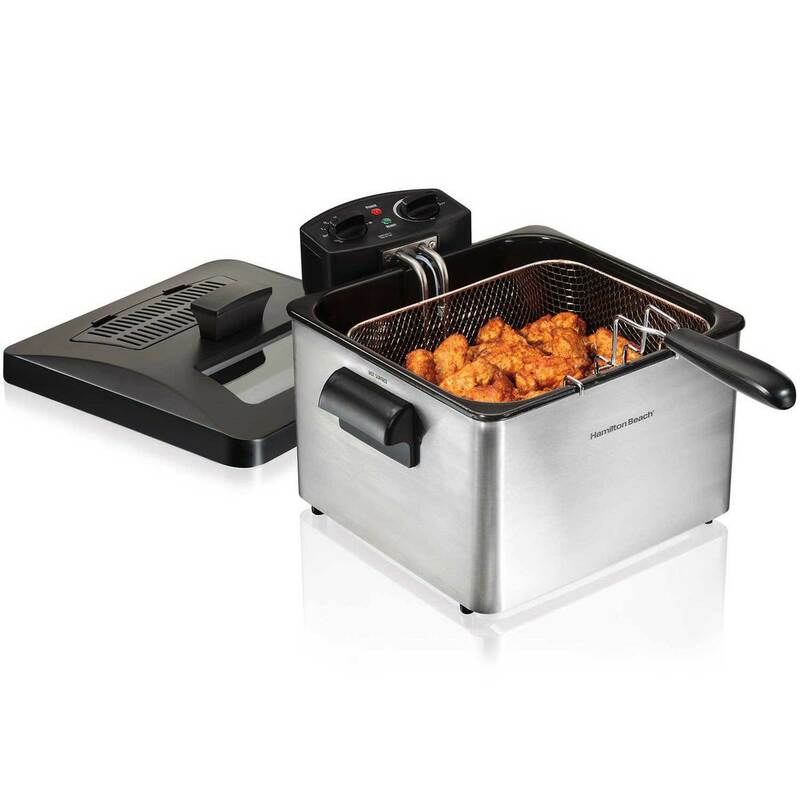 Get golden results when you fry with the Hamilton Beach Professional-Style Deep Fryer. Inspired by commercial fryers, this home version features an immersed heating element that makes the oil heat faster before and during use. And the adjustable temperature, ready light and audible timer lets you easily master the art of frying. The extra-large, 12-cup capacity lets you feed a crowd without having to fry multiple batches. Use the large basket to make one big batch or fry two different foods at once with the double baskets. All three include hooks for easy, mess-free draining and are dishwasher safe for fast cleanup. Whether it’s chicken wings for the game or jalapeno poppers for a party, you can easily feed a crowd fried favorites by cooking more per batch. 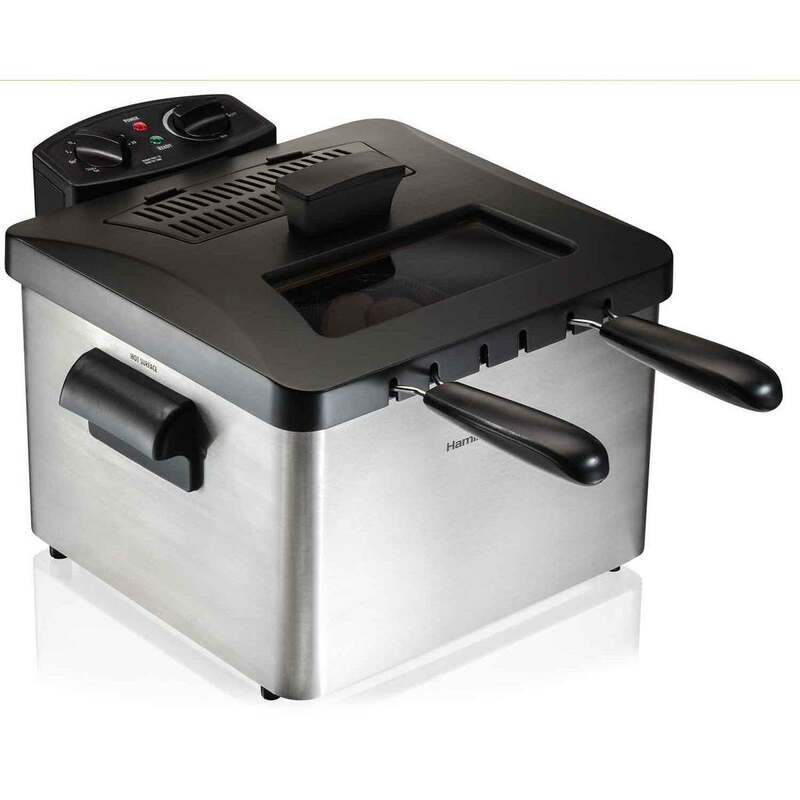 With a 12-cup capacity, the Professional-Style Deep Fryer is one of the largest home deep fryers. 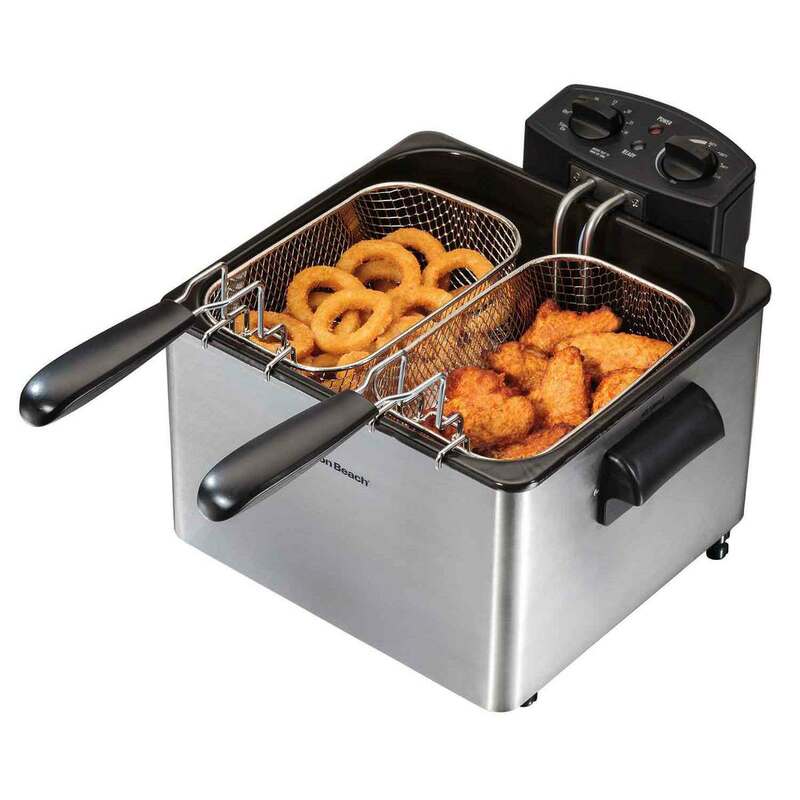 Fry a dinner of chicken tenders and french fries for the whole family faster with the double baskets. Or use the large basket to quickly make one big batch. 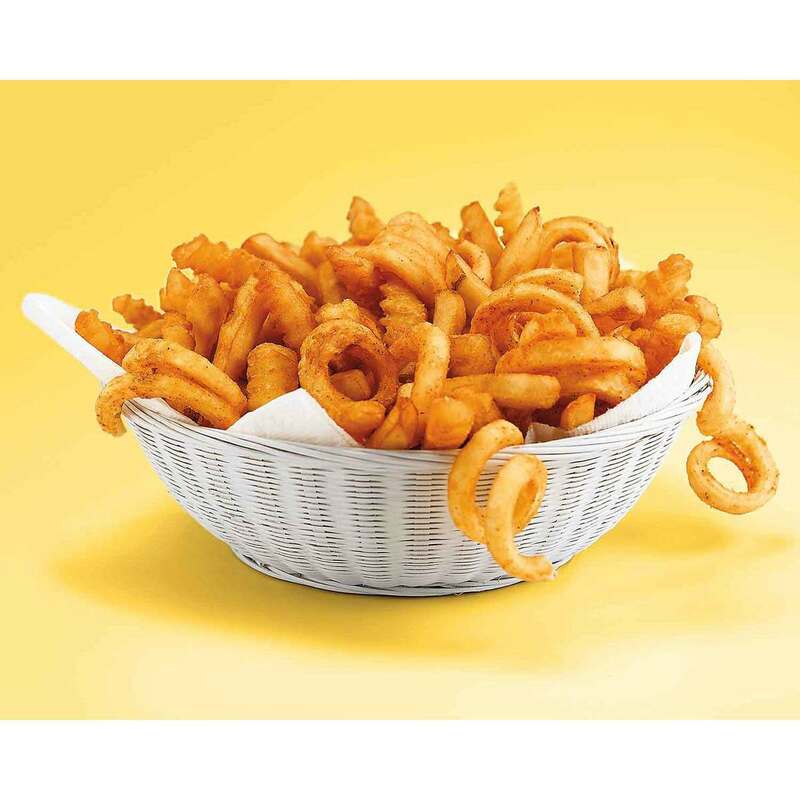 All three baskets have hooks so you can drain excess oil back into the fryer. Basket frying is not only faster than frying in a pot, it’s safer. You can avoid splatters with the lid while still monitoring cooking through the view window. And a breakaway cord prevents the fryer from tipping over if the cord is snagged. 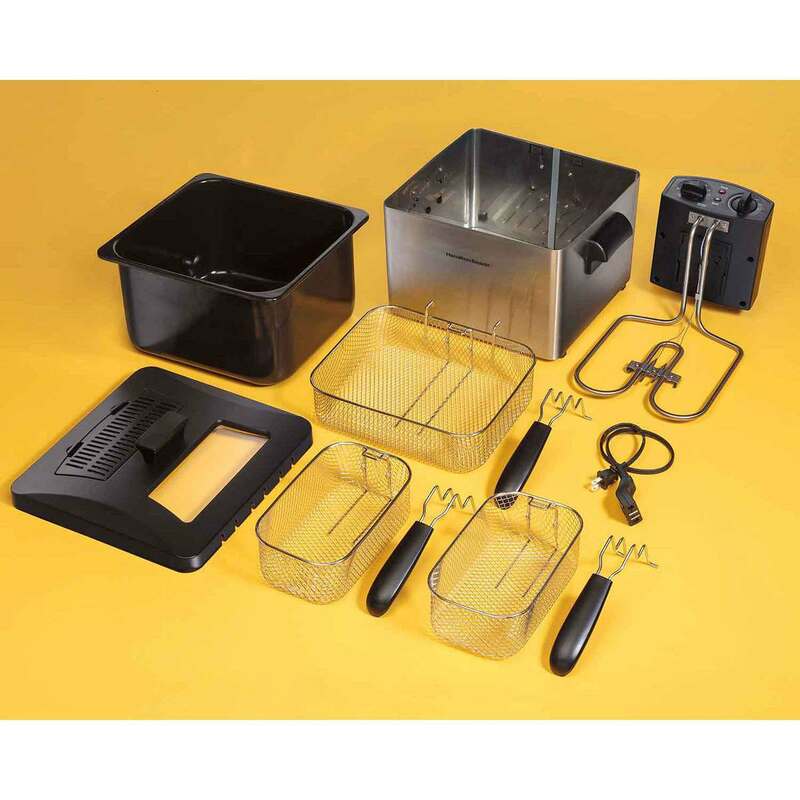 Putting the fryer together is just as easy as taking it apart. And the dishwasher-safe baskets make clean up simple.